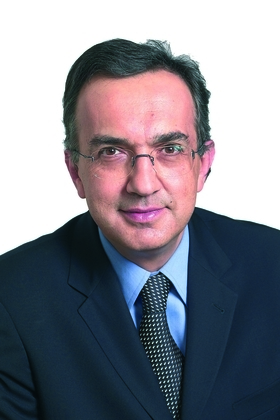 Fiat CEO Marchionne hopes that Thursday's changes prevent job cuts. TURIN -- Fiat Group Automobiles announced Thursday that it would stop car production in its Termini Imerese plant, near Palermo, Sicily, in 2011. Production at Fiats five other car assembly plants in Italy will not be affected, the company said in a statement. The Sicily plant will stop making cars when the current Lancia Ypsilon is phased out in summer 2011, but the plant will not close. Fiat said it would keep an "industrial presence with non-automotive production activities" at the factory, which employs 1,400 people. Termini Imereses location on the island of Sicily means logistics costs are 600 to 1,000 per unit more than if Fiat made the Lancia Ypsilon elsewhere, according to a presentation Fiat made to the Italian government in February 2007. Fiat CEO Sergio Marchionne was in Rome Thursday to meet with the Italian government and Fiat unions to discuss the impact of Fiats deal to steer Chrysler back to health. Fiat has taken a 20 percent stake in struggling Chrysler. Unions in Italy have worried the deal could mean production and job cuts at plants in Italy after the changes at Termini Imerese were outlined in Fiat's blueprint for its failed bid for General Motors' Opel unit. GM is trying to sell Opel to Canadian auto parts supplier Magna International. Fiat also plans to introduce a new platform, to be used for one or more models, at its Pomigliano dArco plant near Naples, southern Italy. The company did not say which brands would use the platform or when cars with the underpinnings would start to appear. The factory will continue production of the Alfa Romeo 147 and GT until 2010 and will maintain output of the Alfa 159 sedan and station wagon beyond that date.  Sevel Val di Sangro (central Italy) will continue to produce the Ducato range of light commercial vehicles. Marchionne said Fiat hopes to avoid job cuts in Italy but added that it will depend on financial factors. The production-related initiatives that we outlined today will contribute in part to achieving this target, Marchionne said. Italian labor leaders gave a mixed reaction to Fiats plans. Marchionne gave a fair picture of the current difficulties, but the outlook announced is really short term, only until 2010-2011, said Guglielmo Epifani, general secretary of CGIL, Italy's largest trade union. Marchionne also made a plea for European incentives for less-polluting cars in order to stimulate demand. Marchionne called on the Italian government and unions to lend their support to Fiat, and said if all parties worked together, "we can avoid painful consequences and build something strong and long-lasting."